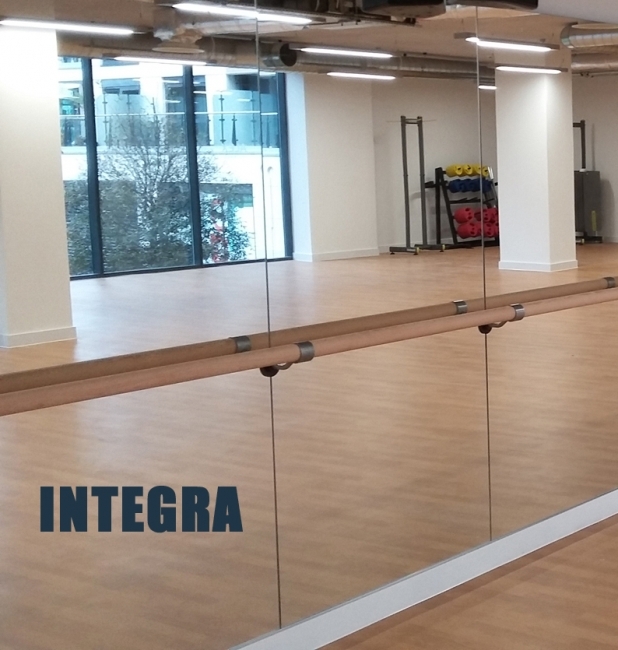 We provide a comprehensive installation service for our Studio Mirrors & Barres with a choice of installation styles to suit your requirements and budget. From our popular Integra System which features a seamless wall of mirror and barre to our Waist Rail and Classic installations, you can be assured that every installation is carried out by our own experienced team of installers. We will always conduct a site visit prior to carrying out any installation. Whether your requirement is for dance/ballet or pilates/fitness, all our installations are carried out to be safe, secure and fit for purpose, giving you total peace of mind. Our unique Integra System provides a sameless installation of Mirrior & Barre. 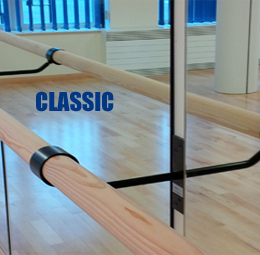 An adaptable system of Mirror and barre which is ideal for fitness and dance. 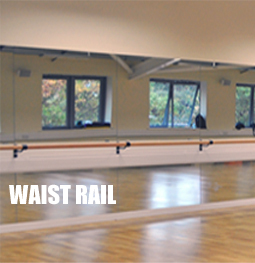 Provides full size mirrors and barre across any span of wall. Click here are more information.